Over the past weekend I set out to setup Asterisk, an open source communication server, to test some of the issues reported in a thread over on the discussion forums. I had an Avaya 1120e and 1165e IP phone available to test with, however, both phones were running the UNIStim software for the Avaya Communications Server 1000. I needed to upgrade them to support SIP. About a year ago I posted how I setup Asterisk to work with an i2002 IP phone utilizing the UNIStim channel driver. This time around I was looking to utilize the standard SIP channel driver with the 1120e and 1165e. You’ll need a TFTP server to host the files that the IP phone will download. You can use any TFTP server you already have on the network. If you don’t have a TFTP server you can use TFTPD32 from Philippe Jounin on any Microsoft Windows XP, Vista or Windows 7 personal computer. I download the zip and exploded the files to D:\Temp. You’ll need to substitute the IP address above (192.168.1.6) with the IP address of the personal computer that will be running TFTPD32. Now that you have all the files you’ll need for the upgrade, you can start the TFTPD32 executable. You should see a window similar to the figure to the right. You need to make sure that the IP phones know which TFTP server to use. This can be accomplished via DHCP option 66 or it can be set in the device configuration on the actual IP phone itself. I was utilizing the DHCP server built into my Verizon FiOS router so I had to set the TFTP server manually via the IP phone configuration. When you are ready just reboot the phone. As the IP phone boots up it will request an IP address from the DHCP server and it will check the TFTP serve. The IP phone should download the 1120e.cfg (or 1140e.cfg of 1165e.cfg depending on the model). Once the phone realizes there is a software update it will boot into BOOTPC mode in order to perform the actual upgrade. Once the upgrade is complete the IP phone should reboot. I will warn you that you should I’ve seen some odd behavior between the settings on the IP phone and the settings that should be applied via the provisioning files. There have been a few cases where I needed to reconfigure the IP phone even though it appeared to be configured properly. In the few cases I’ve experienced reconfiguring the IP phone solved the problem. Once the 1100 series IP phone is upgraded to SIP it will start looking for a new configuration file, 1120eSIP.cfg (or 1140eSIP.cfg or 1165eSIP.cfg depending on your model). The settings above disable any advanced features and allow the IP phone to run a basic SIP configuration. Neat to see this. A friend of mine and I set this up in a lab back when we worked at NT. We did a very basic set-up with 1140’s. Ahhh, memories. I followed your procedure and it worked!!! Just one question: how could I enable a four-line key on 1120E SIP phone? To use multiple lines, you need to set the MAX_LOGINS paramater to be greater than 1. That moves you into the second feature level which requires the use of a token when not connected to an Avaya system. Unfortunately I had an 1140E SIP phone running in my apartment in Chicago for fun and it died on me after 30 days due to the fact I didn’t have a license token from Avaya. I was running the phone on the new SIP 4.0 above. My SIP provider is VOIP.MS by the way. Do you have any advice that can help me legally obtain the SIP license? If I can get this worked out, I’ll go ahead and think about getting an 1165E. One problem with the 1165E, especially if it is used as a receptionist phone with KEM’s, the bluish color on the KEM will not match the color display on the phone. I know Cisco has a similar issue with their 7970’s and they have addressed it by providing a KEM with dark blue background and white letters. You don’t need to purchase the extended license to enable basic SIP functionality. You simply need to disable the “advanced” feaures that require an “extended” license key. Have a look at the discussion thread (link above) and that should answer your question. You’ll need to setup either a TFTP server or an HTTP server where the IP phone can download the provisioning files. You can also configure the IP phone manually through the handset but that can be an adventure. Thank you for the information. I will try modifying the provisioning files. I modified them last time based on of the earlier blogs on here, but still the phone wouldn’t take my changes. Should I copy and paste my configuration file somewhere so I can have you view it? Just post your config/question in the discussion forum…. (you’ll need to create yourself an account but it’s quick, easy and free). Do you want me to post this on the forum? Do you have any idea what happens to the Nortel ring tones and system prompt noises such as key click on the Norstar series IP Office 11XX and 12XX phones? Are they staying the Nortel SIP ring tones 1-8 or are they being replaced by the “annoying” Avaya legacy Merlin Warble/Chirp noise? Do you know the difference? Some people don’t even notice. I’m trying to convert my 1120E phones to SIP, so I can make it work in asterisk. The firmware that comes with the phones is 0624C1A. and see if that kicks it off. If the 1120E isn’t even reading the 1120e.cfg file from the TFTP server you’ll need to backup and figure out what’s wrong there first. Same problem with Nortel 1140e phone with 0625C39 Unistim firmware. Phone stops with message “Upgrades are available”. DONLOAD_MODE FORCED does nothing. When i renamed f/w file to “1140e.img” and changed FILENAME parameter in .cfg to same, phone shows “Downloading upgrades” for 2-3 seconds and later changes diaplay to “Connecting to S1”, later “Server unreachable”, “restarting” and so on, as it booting as usual. I would try a different TFTP server and see if that helps at all. I have phone with firmware 0625C39 and have troubles upgrading. i just upgraded phone to latest available UNISTIM firmware 0625C8G and later changed to SIP firmware without any problems. I had the same problem with an 1120E showing “Upgrades are available”. After upgrading the Unistim firmware the SIP upgrade worked. I need convert any phones 1110 Nortel-Avaya to SIP but work Asterisk, and not found this Firmware. And this just keeps repeating. It is the correct IP for the phone. It doesn’t even seem to be requesting the cfg file. Is there a setting in the admin menu that perhaps need to be changed. I set up the phone with a fixed IP, did all of the configuration manually but I have yet to see a site that explains (in detail) all of the necessary settings in there prior to a conversion to SIP. How are you configuring the TFTP server? Are you manually configuring the IP address of the TFTP server in the IP phone configuration (via the phone display) or are you setting the TFTP server IP address in the DHCP reply? If you don’t manually configure the TFTP server IP address or configure the DHCP server with the TFTP server name the IP phone will never make any request to the TFTP server so it will never know to upgrade it will just boot up with the previously configured IP address and attempt to connect to the previously configured IP address and port. Where 192.168.1.20 is the IP address of your TFTP server, remember you’ll need to restart your DHCP server after you make the configuration change. I’m using Tftpd32. I manually configured the 1140e, both it’s IP/subnet/DNS etc. and the IP of the PC running Tftp. I wasn’t sure how many places required the Tftp server IP to be inserted in the admin menu. The 192.168.0.20 is the IP of the phone making the “request” to the server. It is obviously pointed to the right place as the Tftp server shows activity. What file(s) is the IP phone requesting from the TFTP server? The logs from TFTPD32 should show you exactly what the IP phone is requesting as it boots up. You should see it requesting the file 1140e.cfg which needs to contain all the information referenced above. The process is laid out for you in the above post…. the IP phone will request the cfg file from the TFTP server based on the model, that cfg file will contain the instructions and filename of the firmware that the IP phone will upgrade/downgrade to. Firmware 0625C6R is UNIStim release 3.3 so the ability to upgrade the IP phone should definite be there. My error. I have two networks, the second one with my SIP pbx, I put the wrong potion of the IP for the other network in the Provisioning IP for the phone. Because I had put the IP of the Tftp server in the S1 IP, it was making a request for “other” information. I will carry on now creating a SIP config file as it did download the bin file. Sorry about that. No problem Lee. I’m happy to hear that you were able to figure it out. nice Guide, just one thing which I am missing is the “autologin” feature. if the phone gets rebooted I am always stuck at the login screen from the phone and have to manually enter my asterisk uid / pw. but it never logs in. Does anyone have an idear? Just edit the configuration file on the TFTP server and point to the UNIStim software and version number. Thanks Michael…. I tried on a SIP 1230 and I does work, it’s now back to UNIStim on my 450 R6. But now I am facing a weird situation, I got a 1120 SIP configured, I thinks this one was on a CS1000 since the version is SIP 02.02.21.00…. problem is that there is no settings for tftp… only provisionning server and I did put my tftp address but no request are being received. When it’s booted I get UserID on the main screen and a configuration menu (pwd color*set) with S1 & S2….. I’ve put my BCM info but once again it’s doing nothing. I utilized my DHCP server to instruct the IP phone which TFTP server to use. I had to provide more than just the “next-server” option, I had to specify the “tftp-server-name”. Thanks for the detailed upgrade info. I have a few 1120e’s, firmware 0624C39. I’ve been unsuccessful in upgrading to firmware SIP1120e04.00.04.00 using your guide. The phone does contact the tftp server, appears to start the download, but rather than going through the reading/writing process I expect, the phone tries to contact S1 and will loop continuously when contact fails (as expected since I’m doing the upgrade on a LAN segment without a PBX). The tftp log shows only 1 block of about 248 bytes transferred, it appears that the cfg file is read but download of the binary never starts. Is my current firmware an issue? Do I need to upgrade to a later version of the UNISTIM firmware before making the jump to SIP? In the [FW] section change the “DOWNLOAD_MODE AUTO” to “DOWNLOAD_MODE FORCED” and see if that changes starts the IP phone downloading the firmware from the TFTP server. Lars, I solved my problem that was pretty much identical by upgrading the firmware first to unitsim and then to SIP. Thanks for the input Michael and Paulo. It turns out my problem was extraneous control characters in the .cfg file courtesy of XP’s Notepad. I cleaned things up with the command line editor and the firmware upgrade completed successfully. BTW, I found that my particular hardware version of the 1120e’s are early versions not supported in SIP 4.0, so I’ve loaded SIP 2.2. I didn’t believe there was any such restriction regarding early hardware revisions…. can you provide a reference? You might need to upgrade to say SIP 3.x before you jump to SIP 4.x but I don’t believe there were any hardware revisions of the 1120e like there were with the i2002/i2004 series. So will the 11xx and 12xx series phones be around for a while? Or are they, like the CS1000/2100 and BCM going to be discontinued soon? Joe, I was under the impresion the cs1000 was going to remain current for quite sometime? It’s my understanding that the CS1000 is going to be around for quite some time. I believe the CS2100 is being wrapped up into another product, Avaya Session Manager? While the BCM/SRG is slated to be rolled into the Avaya IP Office product line Avaya doesn’t seem to be moving too fast, probably since the BCM has a HUGE install base. That is good news that the CS1000/CS2100 will be around for a while. I am quite keen to the Nortel styled features such as ring tones, dial pads, feature buttons and in general any type of legacy Nortel telephone. With the existence of the CS line in our telecom world, users will still have the familiar Nortel phones but with the Avaya name on them instead. As far as BCM goes, I bought myself a backup system for my home in case mine ever goes out. If both go out, I’ll either convert completely to Nortel SIP 11xx phones or get a small CS1000 somehow….a bit much for an 800 sq. ft. loft but it is the THE telephone systems of all systems in my opinion. I am using SIP trunking with 11xx phones on the BCM as well as a standalone 1140/1120, Avaya 9630 and Cisco 7970 color display on 3CX via VOIP.MS….you can say I am quite the phone geek! I see that you’ve basically solved your own problem.. great job! If you haven’t already you might want to browse the discussion forums where there have been a number of similar threads. Is this the file version I should be using that should allow me to upgrade my 1140E using Michael’s .cfg files at the top of this article? Michael, if I copy and paste the cfg articles at the top of this page into my TFTP directly, this should upgrade the phone to work on basic SIP service? I am going to give this a shot again! We’ll see and I’ll let you know my results tonight. Thank you again, wish me luck! I used SIP1140e04.00.04.00.bin to start with. it worked fine till I played with a setting that I can not remember, stuffed it up and took 5 hours to work out that it can not be fixed, then I found the new version SIP1140e04.01.13.00.bin, and with worked again, and it actually works better now so yay for me lol good luck I recommend the 1.13 version, they may even be a newer one out but atm this is all I can find but I am happy with this. Are you using the phone on a 3rd party server? 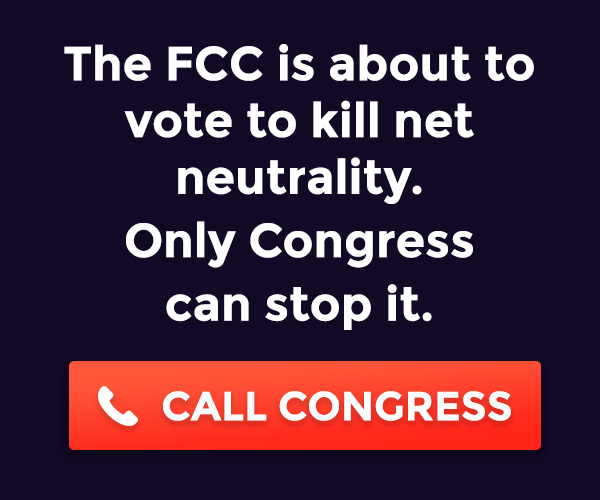 I am using mine on voip.ms. We’ll see what happens when I try it later this evening. I am using it on a Asterisk – FreePBX server running on Debian – Lenny OS. running localy on my network. I use my Ubuntu desktop system as the tftp server. and Engin (Australian Provider) for my sip trunking I don’t have windows installed on any system anymore. if you use IRC you can also obtain some help on the irc.freenode.com servers join the #freepbx or #freedoh Channels we help all we can. HI there, I am having trouble yet again on trying to load the firmware to my 1140E SIP phone. What am I doing wrong! I am following everything on here….I feel like an ID10T error! Thank you in advance. Its very weird, I like the call waiting BEEP/Buzz on these phones and earlier versions of firmware had a 1 second short buzz tone, these new phones buzz in a quarter of a second (hardly any noise) when you get a second call coming in….small thing, but interesting. I do have a timing question. Now that I uploaded the latest SIP to my 1120E phone as well (successfully), the DHCP server takes 3 minutes until it recognizes the TFTP server. The 1120E just sits there saying Loading DHCP for 2-3 minutes. Did I fry the memory in the 1120 phone? Are one of my 4 pairs of wires on the set cross connected? I punched my own RJ45 connector for that phone…..I assume if it was wired incorrectly, the phone wouldn’t power up at all. Everything is successful and still working today. Any idea why it takes my 1120E about 4 minutes to recognize the DHCP server?? So I noticed my phone is saying “starting DHCP” for 5 minutes now before connecting to the server anytime I restart the phone. Any idea what might be causing that? Should I reset the phone to factory defaults? If so what is a safe way to do that? and it should then ask you “Are You Sure?” Y or N and then after you confirm it will restart. let me know how you go. So any idea why my phone is stuck on “starting DHCP” for over 4 minutes before it connects to the server? Did you give the factory reset? how did it go? Actually. In network settings check the status of DHCP check to see if it’s set to Full Partial or Manual, if you know all your network setting try setting it to Manual in input the IP Address of the phone, the Netmask, The Gateway, and the servers (witch are probably already set, but check them just the same) and that should fix your problem, given you will have to manually change the IP settings of the phone if the settings change, but small price to pay for an quick fix. also is this device the only one have trouble the DHCP, no other computers taking too long for DHCP? maybe turn the DHCP server off for 30 seconds and then back on. never know might help. no Idea but did you give the factory reset? how did it go? So I am staying in NYC right now, so I won’t be able to get to test the Phones till Sunday. I found out I have free internet at this hotel, I should have brought my 1120e along. I ll try the manual dhcp on Sunday. Btw, I am staying at a Renaissance Marriott and I was hoping for an 1120e In my room like I had at the JW Marriott in grand rapids, no such luck, the hotel has a boring digital Mitel system, not a big fan Of Mitel though. One of the Nortel execs used to be on Marriott s board of directors until 2008, probably exPlains why this 2008 hotel doesn’t have Nortel, dissapointing! I will tell you, I am out here for work for my company Walgreens, and all of our Duane reade stores now have Nortel switches, MiCS I believe! Everything was working great on my 1120E SIP phone until today when it told me my license cannot be obtained anymore?? Do my configuration files look correct? Should SSH be set to NO? On your 1120E file, it says YES, but I have my 1140E configured exactly the same and the license hasn’t expired and it is set to NO, but I have the problem regardless on my 1120E. What the HECK IS GOING ON? I am pulling my hair out! I have the EXACT files on each phone the same, except for changing the 1140E to 1120E names! You are probably running the with the license in evaluation mode (60 days I believe). You need to configure your settings so the IP phone doesn’t use one of the extended features which requires an extended license. **73639[MAC]## – where [MAC] is the MAC address of the phone using the 2 key for A/B/C and the 3 key for D/E/F. You can also think of it as **RENEW[MAC]##. fixed the problem and my 1120E License Status: Now reads: No Request…. does that mean the problem is more than likely fixed? Also, it doesn’t take my phone 5 minutes to reboot and find the DHCP server anymore. Can you answer my last question, if the license status says: no request, does that mean the extended feature set has been disabled? You are correct… “No request” means the IP phone isn’t looking for an extended license. I must also add, can you look over my configuration files above?? They are exactly as copied from your files and I just want you to double check them. Also, What on the phone tells you if the extended feature set has been disabled and the phone won’t shut off after 20 or 60 days? When I RESET to factory default the 1120E and reinstalled the CFG files you created, they worked and the License Status now reads: NO REQUEST. My 1140E hasn’t given me any problems and it is over the evaluation period and says: NO REQUEST. Does that mean I am smooth sailing? Yes you should be set to go. Thank you for your reassurance! I ordered a Unistim Avaya 1220 phone for $55 on ebay, so I am going to play with making it SIP. How do I get to the TFTP settings on this phone as opposed to the 1140E? I can uplink my 11xx phones to my TFTP server, but do I do it the same way with the 12xx sets? Can I use the same configuration files for my 11xx phones and just change around the file names to match the 12xx series? I saw something about having to put 12xxboot.cfg for the config. files? Can you clarify which files I should be using to upload SIP to the phone? When I am asking about getting to the TFTP server on my IP 12xx set, do I just do the 4 key swipe on the softkeys when the phone flashes Avaya? Oh, when I am asking about getting to the TFTP server on my IP 12xx set, do I just do the 4 key swipe on the softkeys when the phone flashes Avaya? You’ve probably answered this yourself already… been sick the past week so I’m only getting the chance to respond to all the comments. You can swipe the 4 softkeys or I believe you can also double press the “Services” key. I ve been successful at getting my 12xx sets to work with the no request for the license token! Do you want me to post the files? Also, is the call waiting beep for a second call waiting a standard feature on all 11xx and 12xx phones? It’s very similar to the call waiting buZz on meridian 1 sets. There is a post documenting the settings to avoid the “license token” issue on the discussion forums and I believe you posted in that thread. I don’t believe the basic license allows for multiple lines… so I’m going to bet you only have a single line unless you have an advanced license and even then I’m not sure that feature would work across all the different SIP based switches. I believe you posted in that thread. Call waiting does work, I ve managed to make 7 incoming calls all come into the phone on the same line! Is the call waiting beep a universal feature of the Nortel ip sets? It works on all my phones, strange though, the latest firmware shortened the beep from 2 seconds to a quarter of a second, so you can barely tell it has announced the second call. You mentioned to me you haven’t made the 12xx phones work with Sip yet, did you want those results posted? I have an 1120e NTYS03BA running 0624C4B FW. The phone successfully downloads the 1120e.cfg file from my Jounin TFTP server, finds that there is new firmware, but immediately says “Downloading updates” for a second, then “[FW] failed version 0624C4D”, then starts cycling through S1 and S2. I have tried “DOWNLOAD_MODE FORCED” and “DOWNLOAD_MODE AUTO” in my cfg. That’s UNIStim v2.1 firmware release… pretty old. I see a problem right away with the files you trying to use. You are running a firmware for the 1120e but you are trying to upgrade to a firmware for the 1150e. You need to use a firmware that is compatible with the 1120e IP phone. You should be able to download the firmware from the Avaya support website. Since you are running such an old version you probably need to review the release notes… I believe you need to upgrade to at least UNIStim v3.x before you can jump to either 4.x or 5.x. Hrm, I thought the website says that 0624C4D, the version I am trying to update to, is an 1120 release. Found on http://support.avaya.com/css/appmanager/public/support/Downloads/P0599/2.x/C2010110317412511234466#files maybe it is labeled wrong? Here’s where you can find the old legacy software releases perhaps if you try a release in the UNIStim v3.x or 4.x branch? I’ve just started playing with all this VoIP stuff the other day, I’ve built a trixbox and have successfully added an Aastra 480i, 9133i and Nortel 1230 UNISTIM, however I am stuck trying to get an 1120e on the system. I converted the 1120e to SIP (from UNISTIM) but can’t figure out how to add the phone withing trixbox. With the 1230 I had to manually add to the UNISTIM config file and then create the extension and put in the special dial rule. Is it the same for the SIP? Any help would be greatly appreciated! I setup a few Avaya IP phones on Asterisk (never trixbox) using SIP and as I recall it was fairly straight forward. Just make sure you’ve got the IP and port numbre correct and then enter the DN. I will say that it took a LONG time for the initial connection – easy to think you’ve failed and give up before it connects. Perhaps you can check the logs on trixbox and see what’s going on? Sorry I can’t provide more help! I have just converted a Unistim 1120E to SIP firmware to work with session manager/avaya CM. But for some reason I dont see the feature key option under prefs-> Feature options. Is there a steting in the config file that needs to be edited? 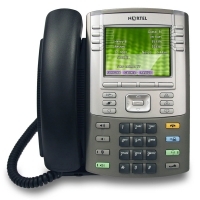 how to change date and time on nortel sip phone? I had it connected to asterisk. I’m not really sure myself… does it get the time from the SIP server? from an NTP server? I’m not sure at all… might be able to test though. I have phone setup per the instruction at beginning of the post. phone have token request: no request, but the day still count down. Any one have this issue, or it’s just normal. FYI. As long as it says “no request” you should be good. It might be that once you enable any of the features the demo license will start it’s countdown regardless if the features are no longer being used. Is there any known Avaya reseller to buy small qty of extended SIP licenses from? What do they cost approximately? I bought an expansion module and I also want to use Bluetooth… so I need some. I know a reseller (that I’ve recommended before) let me just check with them and I’ll get back to you. I forget what license we were even talking about Justin… the advanced SIP license or the UVC (VPN) license? I’m not sure what to tell you… Jon should be able to reach out to Avaya and determine the part number. We are looking to do the same thing with the 1120Es. Did you ever get that figured out? We are actually using Switchvox but its all Asterisk under the hood. 4 months of trying, still haven’t found the part # for the Avaya/Nortel 11xx bluetooth + BLF. Any ideas? What are you looking for? An actual bluetooth headset? The advanced license? Correct, the advanced SIP license. Jon needs a comcode or part number to order this. I don’t believe legacy Nortel products use comcodes, those are the pure Avaya components such as the Definity and Partner systems. Am I correct Michael? The sip Licenses are extremely hard to obtain, as I have tried and most Avaya vendors have no idea what I am talking about. People who deal with communciation server 1000 and 2100 are your best bet in my book. Have you ever setup Intercom feature on this series phone? I’m stuck at how to program a soft key to be Intercom key so that when I press that key and enter a DN, it originates an Intercom call (with “Answer-Mode: Auto Answer” appears in INVITE msg) to that DN. BTW, I’m using SIP software 04.01.15.00 for my 1140. What Call Server are you running? The key appearances usually need to be configured from the Call Server, that’s definitely the case with the CS1000. Also in the phone features – auto answer you have to whitelist the source. I put in the ip for my asterisk box and it worked fine. I think I left the first option at disabled but put in the ip on the 2nd option. I’m using this phone with SIP application server A2 of Genband. The A2 version 9.0 supports Intercom feature but I don’t know how to program the Intercom key on the Avaya phone. BTW, I’m a system verification engineer of A2. Excellent guide…i followed through to upgrade my 1140E successfully. Is it possible to configure this 1140E to work with BroadVoice? I was able to configure Cisco 7940 to work with BroadVoice…(BroadVoice has a tftp server for Cisco 7940 to connect with login info configured in the configuration section). I can’t say… you’d probably have to test with BroadVoice or inquire with them. There have been reports from a number of followers that they’ve been able to connect the 1100 and 1200 series IP phones with third party SIP providers. I believe there was a thread or two in the Avaya IP Telephony forum but I don’t have the time right now to try and track them down. we have Nortel 1120E phone and want to upgrade to SIP…….we could see a error code 10054 (an existing connection was forcibly closed by the host)…………. You’ll need to give me some more detail… you get that error where? At what step in the process? Do you see the connection to the TFTP server? Do you see the IP phone downloading the 1120e.cfg file? I told you about that new Asterisk system called UCx from Emetrotel. Well I am now testing one out at home and the Unistim versions of Nortel phones are working great. I’ve also connected 4 SIP sets, Nortel 1140E, Nortel 1120E, Cisco7970, and Avaya 9630 to my Call server and they work just as well as the Unistim sets, except that MWI is a continued problem. On my Nortel 1140E and 1120E, (I am upgraded to the latest 4.03 firmware with No tokens requested) the MWI light appears 30 minutes after a Message is left. After deleting a message, it appears that the message light takes another 30 minutes to dissappear. Restarting the phone takes care of the problem right away and the Light either appears or shuts off depending on the situation. On the Cisco 7970 and Avaya 9630 SIP, nothing happens with MWI. I would probably suggest that you run a packet trace against the 1120e/1140e and try to determine who’s at fault, the IP phone or the Call Server. You’ll be looking for the SIP NOTIFY or SUBSCRIBE message that include the MWI flag. If you don’t see any packet MWI messages until 30 minutes later you’ll know the issue is with the Call Server (or more likely the actual Voice Mail application). Than you for your response! It looks as though the Call Server is at fault. I have a Cisco 7970 and Avaya 9630 both connected as SIP phones as well, and they do not respond at all to the MWI, which really also makes me believe it’s a Call Server issue. I am having my friends at Emetrotel look it over…. Cisco 7970 SIP phone works flawlessly-the light comes on when a message is received and shuts off when I exit Voice Mail. Nortel 1140E and 1120E MWI light turns on when Voice Mail is left….BUT DOESN’T TURN OFF WHEN MESSAGE IS DELETED AND VOICE MAIL IS LOGGED OUT….I am pulling my hair out over this one! I made 4 successful test messages with the MWI light popping on when I received a message on the 1140E, but then in order to remove the MWI, I have to reboot the phone. So something is keeping it from releasing the MWI and I have no clue. Avaya 9630 phone is completely unresponsive, even when I deleted the extension and rebuilt it. I don’t have much experience in this phone set. I assume this set doesn’t function to well on a 3rd party server. Let me know if you know a way for me to get the MWI light to turn off on the 11xx sets! Even more progress as I go to sleep now. The 1140e I have connected to SIP works perfect now, as I recreated it’s a new extension order the link I sent. The red light comes on when I leave a message and turns off when I press the goodbye or rls key. If i hang up using # the light doesn’t shut off. I also have an 1120e and did the same procedure of deleting it and restaring it and the MWI light comes on for a new message but unlike the 114Oe the red light doesn’t shut off…… Very frustrating! We have nortal 1120 Series of IP phones…..im planning to change my IP Server to Siemens Openscape MX which is SIP Compatable. Please help me to make my nortal 1120 IP Phones to upgrade to SIP enabled for me to use the same phone with Siemens MX. Since nortal support is not available in india, is it possible to upgrade all my phones to SIP version without any cost??? It is possible, just following the instructions above. Avaya has release SIP software v4.3 since this post was written. You can find the software on Avaya’s support website. But may i know which is the above instructions you are refering to pls??? You replied to a blog post entitled, “Avaya 1100 Series IP Phone Upgrade to SIP”. While there are some 100+ comments to this post the actual post and instructions are at the top of this web page. I am stumped. I have 2 11xx phones running Sip connected to an asterisk UCx from Emetrotel. As mentioned before, the MWI light keeps acting weird. On one extension I had the MWI light working perfectly while on another extension it didn’t work right, as in once you receive a message and listen to it, MWI never shuts off. Sometimes it doesn’t even come on at all? Is there something in the code I can change? The call server seems to be working fine….I have a Cisco 7970 connected and it works perfectly all the time. It sounds like you need to take your issue up with Emetrotel. I am trying to configure the 1120e and 1140e for auto login. The problem, the phone only reads the 1120eSIP.cfg file and nothing from the SIP001ECAFEC786.cfg file. Can someone enlighten me as to the contents of this file. I made it the same as the 1120eSIP.cfg file with the exception that it should load the 001ECAFEC786.cfg file instead of the user.dat file. Stuck here for ages now. When working with provisioning IP phones the old UNIStim firmware would look for system.prv, .prv and then .prv in that order. I’m not sure of the behavior of the SIP firmware, although I’m not sure that you should care yourself (unless you’re trying to automate a few hundred IP phones). You can log into the IP phone manually the first time and it will store the username and password (by default) for subsequent reboots. So on subsequent reboots the IP phone will just connect to your SIP provider. This is how we have them now, but I would like to write something small to manage them remotely. But thanks for the assistance. I will play with the unit on the desk some more. Now, I bought an 1120e that is running SIP. How do I change it back to UNISTIM? Got it! Did it! Works great! Update on the MWI light, it now works on the SIP 11xx and 12xx phones on the Emetrotel UCx Asterisk platform! The problem was a bug in the Asterisk software…..
thank you, sorry for my languaje. i am speak spanish. I’ve never seen that error myself. I’m guessing the IP phone never recovers or completes the repair? A mi me pasa lo mismo con un 1210, en pantalla tengo el mismo mensaje: “Repair of file system”. I’ve downloaded the SIP 4.0 file from this thread and when attempting to upload the firmware, the phone states that it is reading the firmware and returns with [FW] Auth. fail. I have checked and my 1140e set is in the approved list for the 4.0 SIP firmware, but cannot figure out what this means. I changed the download mode to forced to see if that would make a difference but it does not. The TFTP correctly downloads the file without failure. What version of firmware is currently loaded on the IP phone? the current version is 0625C8A on UNISTIM. i’ll try downloading from the link above again and see if that helps. Your instructions for upgrading my Nortel made 1120e phones was great. My problem now is that I have no idea how to configure the phone with actual values. When using X-Lite is simple and straightforward. Going through the endless values on the 1120e is driving me crazy. I am using the instructions from Avaya for the SIP version I have and still I have NO clue if my values are correct. The only settings I needed to get the 1120E to work with Asterisk were documented in this blog post. For the most part, this worked very well! I used the SIP firmware version 2.2 with an 1120e because I didn’t want to deal with the advanced/basic licensing issue, it seems that almost everything is working perfectly! The only problem I have is that the phone does not alert me to when new voicemail’s arrive in any way. No 1 new voicemail, nor a light of any kind. I pretty much used your config files, and kept the default voicemail of 5000 in the users.dat file. It doesn’t seem to work that way, so I manually changed it to *97 in the phone’s options; but still no dice. It works perfectly on my Cisco 7960 but of course, that’s a completely different phone. The entry in the users.dat file is just the DN to be used to dial voicemail should someone push the Inbox key. You are referring to a Message Waiting Indicator (MWI) which I’ve never personally tested. You might want to post over the discussion forums where your question might get some better exposure and perhaps an answer from someone other than myself. From my Engineer at E-Metrotel, we fixed the MWI problem on my SIP phones running on the UCx50 Asterisk based Call Server. So update to 1.8.17.0 and your MWI problem should be fixed. My 1140E and 1120E sip MWI is working perfectly. Blake, have you thought about using the Unistim Channel Driver and running the phones on Unistim? They operate a lot more easier on the Unistim platform than they do on SIP, and they also come with a ton more features on Unistim. Managed to get the sip bin file onto my 1140e and it does seem to log into the sip account as I can make outgoing calls, but I’m not able to receive calls (on the sip number, the extension or direct ip call). Any idea why? You’ll need to provide some additional information… where’s your Call Server? Are you running your own instance of Asterisk? Is it on the same network as your 1140e IP phone? Have you check the logs of your Call Server to see if the call is even coming to your system? Are you placing the call over PSTN or SIP trunks? So many questions so little information to really be of any help. Thanks for your response. Not sure about the call server bit – we’re using hosted voup (soho66.co.uk). Setting up the old grandstream was very simple (enter server, user and pw), similar experience with softphones on the pc. New to these avaya phone, but was expecting something similar. I know it’s been awhile when you posted this blog entry but, since I’m unable to find answers on the web, I decided to take a chance here and ask my question to you directly. I’m working at migrating quite a big user base of 1120e/1140e from UNIStim to SIP and everything is working smoothly so far. Thanks for all your tips by the way. So I got all my provisioning files and processes in place and it is now possible to do the migration. There’s only one small thing… remote reboot. Here’s the question: is it possible to remotely reboot those UNIStim phones? I want to avoid any manual intervention and I know that once the phones have reboot, the whole process kicks in and the migration becomes flawless. I tried to look at what’s available on the MCS 5200 that is in place and the only option available that looks like a reboot is the reset function. Unfortunately, it does not perform a reboot, only a reset of the connection to the network. What I really need is the phones to reboot so they will get their new provisioning server and will download the new config files to upgrade. I also looked at what’s available using SSH, thinking that I could script a little something. With the SIP firmware, I know the reset2factory function is available and that’s what I was thinking of using. Unfortunately, the UNIStim firmware that I have on those phones is now quite old and the function doesn’t exist. I know there is a sendKey function that I thought could be useful but I can’t find any information on what can be sent to the phones using this method. Did you try to use this function? If you can think of anything else, that’d be really appreciated! 1) You could push a new firwmare (umsUpgradeAll) via your Signaling Servers and Call Server. That would cause the IP phone to reboot to perform the upgrade, however, I believe it will follow the DHCP and TFTP provisioning files instead of the UTFTPD update process. 2) You can instruct the IP phone to reboot from the Signaling Server, you could build an Except script to login to the Signaling Server and dump a list of IP phones and then issue the commands to reboot each IP phone one at a time. 3) Assuming these phones are connected via PoE switches you could cycle the power from the PoE switch. 4) Disrupt the connectivity to both Signaling Servers and the Call Server. If you disrupt the networking to/from the IP phones and the Signaling Servers the IP phones will watchdog timeout and reboot in an attempt to recover. You could accomplish this by using some ACLs to intentionally block traffic to/from specific subnets or you could literally shutdown the ports connecting your Signaling Servers. Thanks Michael! These are great tips that I’ll investigate. Since I’m still curious, do you have any experience with the sendKey function available in PDT? I tried to map the various values and I realized that those have changed from release to release (at least, they are not the same when going from UNIStim to SIP). I’m not familiar with the sendKey function. You should have everything you need from the Signaling Server CLI interface if that was to be your approach. Probably much safer too, not sure I would advise running a script within PDT – dangerous. Im also getting the [FW] Auth. Fail issue. Tried redownloading the file but still the same. Getting nowhere with this. I”ve got an 1140e running unistim 0625C8J and I just can’t get the phone to see my TFPT server. It keeps “starting DHCP” Where in the settings do I put the TFTP server address. I jus don’t get it. You should put it in your DHCP options, I believe it’s DHCP option 66 (but that’s from memory). i’ve 1210 Tel and i’ve upgraded to SIP using this SIP12x004.03.12.00 and i’ve used Asterisk as PBX, every time that someone call my Avaya 1210 phone the phone restart without say more, i’ve tried this on more than one tel, but i’ve the same problem. This problem started when you upgraded? If the IP phone is unable to communicate it will reboot to try and recover. It’s happening because phone sends SIP PING packets, but Asterisk doesn’t answer. Not sure if you’ve resolved the issue yet, but I’ve found that using any firmware newer than 03.02.16 on the 1210 phones introduces the problem you are having – roll back to that version and you won’t have that issue anymore. Not exactly a solution, I know, but that’s the way to go if you need the phones up and running ASAP. I currently have four 1140E phones that I was told should work with Avaya IP Office. The load version is 04.03.12.00 with software of SIP1140. I have done nothing to the software of these phones (I usually work with Avaya IP phones so this is a completely new thing for me). I plugged the phones in after creating the user + extension and I hit the login screen. I log in with the created user information and I go right into the home screen for the phone. I look at the extension in the IP Office and I see it is being detected as an Avaya 1140E SIP phone so all good there. My problem is after I log into the phone (any of the four phones, not restricted to one in particular) after roughly 30 seconds to 1 minute, the phone logs out and back in on its own, disconnecting the user from anything they were doing on the phone. I’m not sure if you’ll be able to give any insight into my issue but I’m finding little information elsewhere so figured I would ask. I only just recently got my hands on an Avaya IP Office. What version of software is the Avaya IP Office running? It’s sitting in the cubical across from me along with a few Avaya 9600 Series IP phones. I’m going to guess that there’s some timeout occurring. You might get a hint to the problem by performing a packet trace on the 1140E to see what’s being said between the handset and the call server. Sorry, I can’t offer more help. in the Logiles I can see the Phone has been assigned an IP Address. Then it is searching for CFG Data. then it goes over to system.prv and says failed. Finally it is looking for the TFTP Server which also failes. All Files needed are correctly placed into the Root Folder. Thanks for sharing your results… hopefully they’ll help the next person that follows in your footsteps. finally I was able to upload the Firmware on the Phone. Now also the Settings on my Cisco Router have been corrected. One More Question; how do i change the Phones Time Mode from 12hour (PM) to 24 hour Mode? Unfortunately I don’t really know…. sorry. At first great thanks for all you posts about nortel phones setup. It’s very helpfull. If anyone try to update from old firmware (like 0624C1B) – do not try to use vlans. Update process hangs up on trying to get address from dhcp. So use untagged ports and all will be fine. How know how to configure BLF 1140/1120/1220/1230 SIP firmware? This blog has a number of articles… but you’ll need to search through Avaya’s website for additional documentation. 3. Access voicemail from the messages button. Yes you’ve found SIPs dirty little secret, there are a lot less features in SIP than in the legacy H.323 phones. I’m sure there’s some documentation somewhere from Avaya that lists the SIP capable features in IP Office. On “Licensable Features” there is not selected nothing. Is fine? or when 31 days is over, the ip phone will not work? and last.. How can I activate the Port PC of ip phone?, I tried anything, but I cannot do it, just works the principal port of ip phone, I mean, only the PoE Ethernet. Nothing better then commenting on old posts. Michael, are you aware of any way on the 11xx sip phones to pull all the current button configurations/users. Im currently scripting something that will ssh to the phone and key through each button and pull the line or speed dial information. Since one is able to go to prefs > feature options > feature keys and see what each key has on it, perhaps there is a way to pull that info, maybe as a xml file. Also, do you have any idea on how to access the vxshell on the 11xx phones. when you try and go there it brings up a challange and site to visit to get a response, but that site appears dead. Sorry never had any need to dig that deep into the SIP phones… no idea how to access the shell either. I have 20 AVAYA 1210 phones from the Nortel Legacy line, but I need to install firmware for SIP protocol, I have searched AVAYA but I have not been lucky, I understand that it is discontinued, so I wanted to ask if in your files you have some old firmware SIP protocol for this model. I would appreciate you help. thanks for your educated posts. i wish you can help me with the following issue, my phone (1140e) was working just fine with sip protocol and asterisk server, one day after a reboot, i got the following message “Updating file system wait a few minutes”! and the message still appear on my screen! how can i solve this issue? Sorry.. never seen that issue. Sorry for the dumb question, I have a AVAYA 1230 phone and I successfully changed firmware to latest SIP firmware. I’m following your steps to provision the sip phone but stuck on users.dat file. Is there a way to supply my voip.ms sip credential in the file so when the phone boots up, it registers on voip.ms directly so I can make phone calls immediately. I tried to login on the phone but it didn’t work. Were you successful in logging into voip.ms and your just looking to automate the process? Unfortunately, I haven’t done any testing with the Avaya 1200 series in quite a few years. Sorry. I can login to voip.ms using my sip credential manually on the phone, but I’m looking for a way to automate this process by adding some lines to users.dat file. I googled the instructions on how to change users.dat file but couldn’t find anywhere. Is there a way to change the text for each line key? Currently my phone displays truncated telephone numbers because it only allows maximum 9 characters. Also, I’m wondering if you can post some dial plan example.